In the winter month of January, Punjab is the rainiest among all the states in the plains of India. In fact, its normal average rain during the month of January is 25.5 mm. 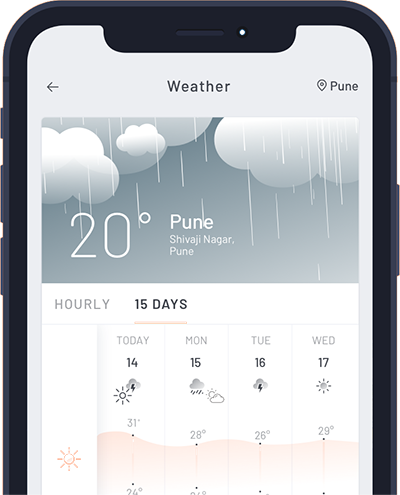 However, if look at the rains of all the other plains of India Haryana has an average of 17.8 mm of rain, followed by West Uttar Pradesh 18.2 mm, East Uttar Pradesh 16.8 mm, Bihar 13.3 mm, Gujarat 0 mm and most of the state less than 5 mm or even nil. 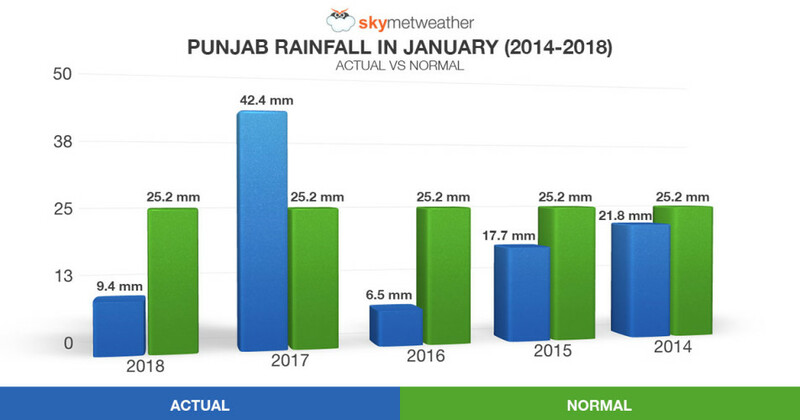 The overall performance of rains has not been satisfactory over Punjab in the last five years. However, in 2017, the state was largely rain surplus and received 42.4 mm of rains against its normal of 25.5 mm. On the other hand, in 2016, the state witnessed extremely less rain and managed to record only 6.5 mm of rain making it the largely deficient year. Now this year also, more than half of January has passed away, but no significant rainfall activity has been observed over the states. Thus, most places of Punjab are presently deficient, largely deficient or have received zero rains. Places such as Amritsar, Barnala, Faridkot, Gurdaspur, Mansa and Sangrur managed to receive some rains. 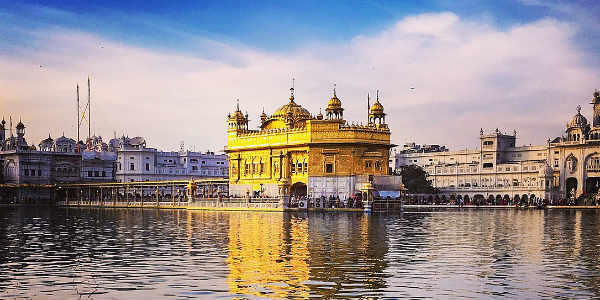 However, rest all places such as Fatehgrah Sahib, Firozpur, Hoshiarpur, Ludhiana, Jalandhar, Monga, Patiala and Rupnagar received very less rains and are largely deficient. Meanwhile, places such as Bathinda, Kapurthala, Muktsar, Nawanshahr, SAS Nagar and Tarn Taran have not received any rains till now and are 100% rain deficient. Moreover, Punjab is divided into three pockets namely - Majha, Malwa and Doaba, according to its geographical situation. However, in case of weather activities no such pattern has been followed. Rains have made appearance randomly. Now during the coming week, a prolonged and widespread wet spell is expected over Punjab region. Starting January 20 onward, rain and thundershower activities will commence over most parts of the state. These rains are likely to continue till January 25. In fact, during this period in wake of excessive rains, we expect the states rain deficiency for the month to improve to some extent. Talking about the agricultural effect: In wake of the upcoming good spell of rain over the northwestern plains, the crops growing in Punjab region will overall observe a good effect. The main crop growing over this region currently is Wheat and Mustard Seed.